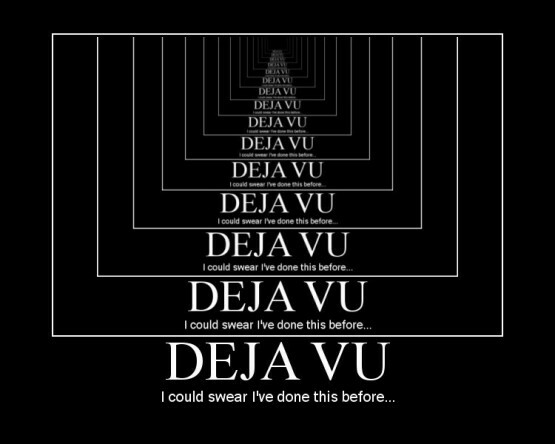 Brown may be going in the wrong direction with his research since he suggests that the experience of Déjà vu is psychological rather than paranormal. We all have recollections of a Déjà vu experience. The word means “already seen.” It is that eerie feeling that we’ve been in a place, or walked down a street, before actually being there. It almost seems as if we are reliving a dream. And then there is the opposite sensation, rarely talked about, of having a feeling of being in a strange place even though we are in familiar territory. For a technical name, it is known as Jamais vu. In a story published by the Dallas Morning News, Brown noted that the subject has not been carefully studied because the experience of Déjà vu always occurs unexpectedly, and is so fleeting, that it catches us by surprise. To date, neither Brown nor his cohorts have figured out how to trigger this peculiar sensation. “It gets all mixed up with parapsychology,” the study of extrasensory perception and other psychic phenomena, the doctor admits. In his research, Brown has revealed two interesting findings. One is that unique appearing places and objects seem to be involved with Déjà vu more frequently than other places. Also younger people experience Déjà vu more often than older people. In fact, the older we are, the less likely it is that we will experience the sensation. Indeed, he won’t if he remains fixed in the paradigm from which he works. To grasp the real significance of the Déjà vu and Jamais vu experiences, Brown must shuck off his Christian ideologies and cross over into the real world of the metaphysical where things are examined through the third eye. He must think of these events as real glimpses of the past or future, things that startle our mind because they arrive at unexpected moments. It should not be surprising that the younger minds experience these “looks” while the older brains, fixed from years of social brainwashing, shut them completely off. There is a thought that babies may arrive with an awareness of who they are, where they came from, and their prescribed purpose in this life. The irony is that if true, the tiny and undeveloped bodies new babies habitat are incapable of expressing this information, or even recording it for future reference. Thus as children grow in the close-minded religious slave-driven society we have created, they are quickly taught to forget this amazing knowledge. Those that have late flash-backs and unexpected psychic experiences are usually punished so that they learn too never allow it to happen again. Among these right-brain talents is the ability of the child to travel out of the body and go visit himself or herself in either the future or the past. Young adults may continue to do this when they dream. Thus the experience of having been there before is quite real. An out-of-body trip to the future might create this very sensation to a person living in the present.